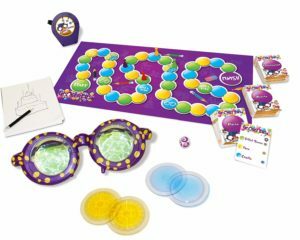 Googly Eyes Game — Family Drawing Game with Crazy, Vision-Altering Glasses is now available at Amazon.com for just $11.99 (REG $29.99) (As of 21 January 2019, 9:20 PST – Details) with $18.00 (60%) Savings. Limited Stocks so Hurry up Now! 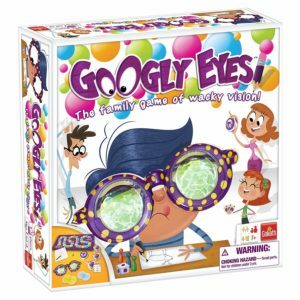 Googly Eyes is the hilarious family game that challenges your vision and leaves you googling for more! Put on the zany, vision-altering google eye glasses and start to draw while your team tries to guess what you’re drawing. Is that an igloo or a turtle? A birthday cake or a fortress? Players take turns drawing and guessing, so everyone gets a chance to wear the glasses. The glasses come with three sets of lenses that range from mild changes to mind-blowing fun, so no one can see (or draw) straight–your vision will bounce off of the lenses. 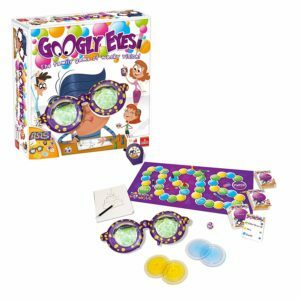 Googly Eyes is a fun twist on classic drawing games that lets players of different ages and skill levels compete on equal terms, since the goggles make it fun and challenging for everyone.